Elizabeth was born Elizabeth Ann Bayley in New York in 1774 and was the second daughter of the distinguished Dr. Richard Bayley and Catherine Charlton. Her father was the chief medical officer for the port of New York and he attended to the immigrants disembarking from ships onto Staten Island and he also cared for New Yorkers during the Yellow fever outbreak which broke out in the city in 1795, which killed seven hundred people in four months. He later went on to become the first Professor of Anatomy at College. Elizabeth’s mother, Catherine was the daughter of a Church of England priest and she died when Elizabeth was only three years old. Elizabeth’s father remarried to Charlotte Amelia Barclay. The new Mrs Bayley was active in her church’s social ministry and would take Elizabeth with her on her charitable rounds, visiting the poor in their homes distributing food and other needed items. Elizabeth devoted a good deal of her time to working among the poor and in 1797, she joined Isabella M Graham and others in founding the first charitable institution in New York City, the Society for the Relief of Poor Widows who had small children and she also served as their treasurer for seven years. In 1794,Elizabeth married William M. Seton who was a wealthy in the business trade. Together they had five children, although for much of their married life, William suffered from Tuberculosis and in 1800 because of this William went bankrupt and due to this and his failing health, in 1803 they with their five children travelled to Italy where William died in December that year. Elizabeth returned to New York City and because of what she had experienced and heard whilst in Italy, she converted to the Roman faith and joined the Roman Catholic Church in 1805. She found it difficult to earn a living because many of her friends and relatives, including her stepmother had shunned her after her conversion. For a while Elizabeth operated a small school for boys. In 1808, she accepted an invitation from the Reverend William Doubourg, president of St. Mary’s College in Baltimore, Maryland, to open a school in the city for Catholic girls. 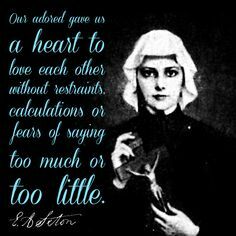 Several young women joined her in her work and in 1809, she founded a religious community and she together with her companions took vows before Archbishop John Carroll and became sisters of St. Joseph, the first American=based Catholic sisterhood. Because of her work, Elizabeth was known as Mother Seton and a few months after forming this Catholic sisterhood, Mother Seton and the sisters moved their school and their home to Emmitsburg, Maryland, where they provided free education for the girls of the parish. In 1812, the order became the sisters of charity of St. Joseph under a modification of the rule of the Sisters of Charity of St. Vincent de Paul. In 1814, houses of the order were opened in Philadelphia and in New York City in 1817. Mother Seton continued to teach and to work for her community until her death from Tuberculosis on January 4th 1821. By the time of Elizabeth’s death, the order had 20 communities. In 1856, Seton Hall College (now a university) was named after her. Elizabeth was beatified by Pope John XXIII on March 17th, 1963 and was Canonized by Pope Paul VI on September 14th, 1975, in a ceremony in St. Peter’s Square.